According to The Hollywood Reporter: “This time, John Lithgow plays the old man narrator/voice of reason, a role that became a pop culture staple thanks to Fred Gwynne’s original interpretation. The trailer for the Paramount Pictures film is a tad more than two minutes long and super creepy, with numerous shots of kids wandering a forest in masks, taking dead animals to be resurrected. 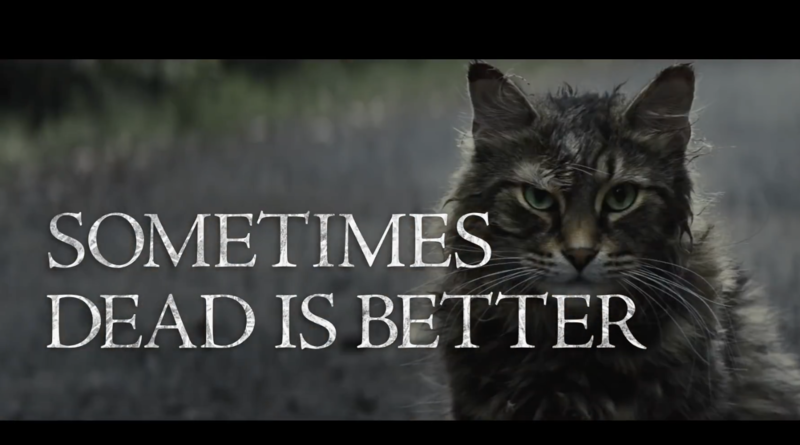 And there is, of course, an unsettling cat and dirt road that trucks speed down.” Full Hollywood Reporter article here.